While late-summer continues to be a wonderful time to feed the birds, unwanted feeder visitors can be troublesome. With the proper feeders, food and accessories, you can enjoy your birds and limit these possible problems. 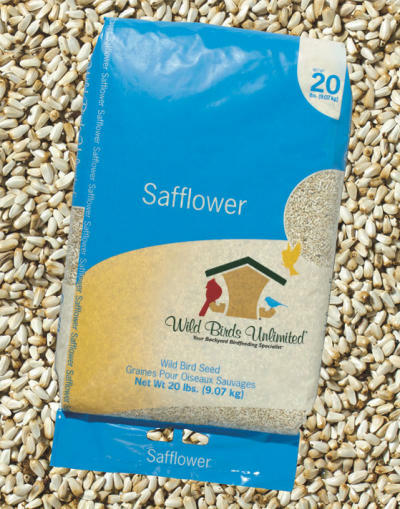 Offer safflower, and keep starlings and grackles from eating all your bird food, crowding your feeders and chasing away the birds you want to see. Safflower is a small, white seed that is high in protein and fat. Most song birds eat safflower; however, starlings, grackles and squirrels typically do not. Guard Against Squirrels and Large Birds Take delight not only in seeing the finches, chickadees and other colorful birds you enjoy, but also in frustrating the squirrels, grackles, pigeons and starlings. With our On Guard™ cages, you control the size of bird that dines at your feeder. They allow small birds to go in and out to get their seed but stop larger birds and animals from entering. Our cages will fit a variety of feeder styles and sizes. The Eliminator™ allows you to stop squirrels from eating your seed. 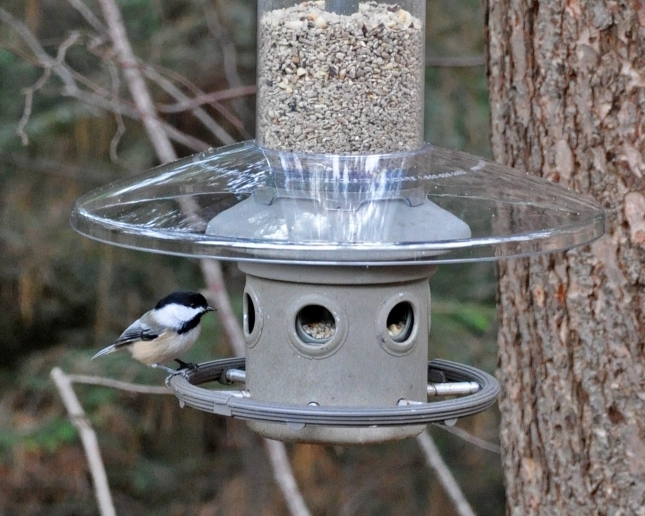 Featuring unique, weight-sensitive technology, the feeder's seed ports are closed when a squirrel touches the perch ring. You can set the sensitivity level to also exclude large birds such as pigeons or doves. It's easy to hang, holds about three quarts of seed and is backed with a limited lifetime guarantee. Weather Guard shown is optional. Our Advanced Pole System® (APS) Squirrel/ Raccoon Baffle is designed to help make your bird feeding station squirrel-resistant. 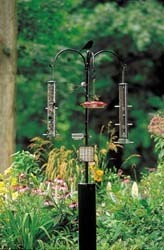 Made of durable, powder-coated aluminum, these baffles feature a design that is very effective in stopping squirrels and raccoons before they reach your feeders. Place your baffle on your setup so the top of the baffle is 5 feet from the ground. We also offer larger diameter raccoon baffles if needed.